When I was a teenager, Lord help me when I think of those high waited swim suits I wore, but I did have one suit that I swear would still look current today. Okay so maybe my daughters would disagree but it was a lime green two piece bikini from Body Glove and it was one of my all time favs. 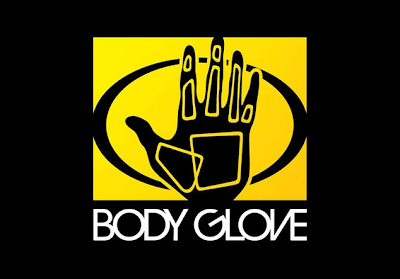 Now I have fallen in love with Body Glove all over again as they are launching an eco-inititatve that is going to keep rubber beach shoes out of our landfills and in the loop. Body Glove Footwear, CEO John Chenciner was looking for ways to manufacture with a Zero Carbon Footprint, to eliminate an extraordinary amount of post-manufacturing waste that is typically associated with the footwear manufacturing process. While looking at carbon offset programs, it became more important to him to explore responsible manufacturing programs that were better for the environment yet still produced high quality performance based products. As a result, Body Glove's collaboration with PLUS Foam will be introduced at this summer's Outdoor Retailer Show in Salt Lake City, Utah. Body Glove's Eco Zero Line will be available at retailers and major sporting goods stores nationwide and get this, Body Glove will focus on in-store education encouraging consumers to recycle by offering discount programs on future purchases for those who recycle through PLUS Foam's global reclaim facilities. Nice. "It is important to not only engage in more environmental manufacturing practices but also to educate the consumers and promote more environmentally friendly purchasing practices" stated Body Glove Footwear's Vice President of Sales and Marketing, Eli McGinty. Body Glove will release the Eco Zero Line with two styles, Eco Zero Curve and Flex. What I love is that the styles are not only made of performance based Plus foam and will be 100% recyclable, but they do not lack form or function. Key features on the sandal are an Ultra Comfort Non-Microbial footbed with a Hydrophobic Flex outsole. Can you say, "On my shopping list. "?